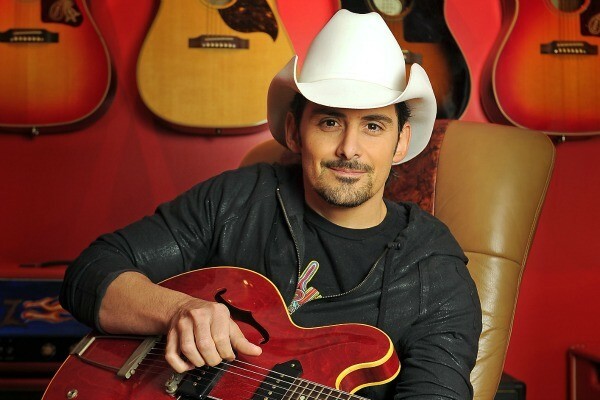 Brad Paisley is one of those modern country dudes who is pretty easy to like. He's got a good sense of humor, actually writes most of the songs on his albums, and he's one seriously talented guitar player. He's coming to Spokane in a few weeks for a gig Feb. 12 at Spokane Arena (just in time for Valentine's Day, people!) and while tickets are selling for anywhere between $25 and $60, the folks at the arena announced on their Twitter today that they have a special deal for people who go to the Spokane Chiefs games this weekend. On Friday and Saturday at the Chiefs' games, you can get tickets for Paisley's show for a mere $10. There's a limit of four per person, but hey, take a friend to the game, both of you grab four and suddenly you have a worthy Friday night party started for when Paisley comes to town. I've seen his shows, and they are definitely a party.